British electropop trio Years & Years unleash their sophomore effort Palo Santo, an endlessly danceable homage to the upbeat and explosive synthpop sounds of the 80s that features refreshingly openly gay lyrical content that dives further into the real stories of frontman Olly Alexander – often with the use of religious imagery. I wouldn’t blame any listener for missing out on the lyrics completely though – while not the most consistent or original of albums, slowing down its frenetic pace in the middle and lifting some recognizable melodies and rhythms, many of the tracks that populate Palo Santo are simply ridiculously fun, built on inescapable rhythms that reach levels of modern synthpop mastery on an equal playing field with someone like a Carly Rae Jepsen. Alexander doubles as a theatrical actor, and the extravagance of live performance is reflected through his expressive and dynamic vocals. Quite a few of these songs veer into pretty heavy territory, Alexander speaking about his romantic experiences as a gay man, without concealing any of the giveaway pronouns in the process, with the veneer of religion. He speaks about his desires both as something inappropriate and sinful that he finds some kind of absolution in regardless, asking a man who claims to be straight to “Sanctify” him or comparing partners to a religious figure “preaching a lie”. The album first sets off its ethereal dance party on its second track, “Hallelujah”, however, Alexander finding the spiritual healing that he seeks through dance and the escape of pop music. Produced by veteran Greg Kurstin and written with help from Julia Michaels, the percussion unremitting as Alexander delivers a rapid-fire, harmonized chorus. The beat dropping for the final time as he extends his note on an ascendant repetition of the title phrase is one of the greatest moments here. This leads directly into “All For You”, which might be the best song on the whole project. Another Kurstin track, the chorus is one of the most immediately infectious you’re likely to find all year. The slowly swirling synths eventually build into a buzzy, syncopated rhythm that’s echoed by the vocals as Alexander gets caught up in burning desire. The delivery on that opening “you look like you’re so damn scared” is electrifying, especially when the music cuts out briefly for the final chorus. 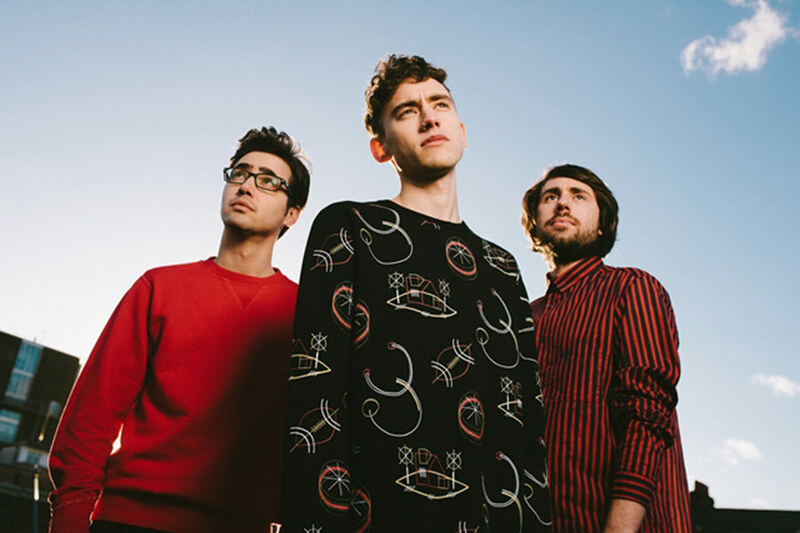 Years & Years aren’t scared to slow things down either, “Hypnotised” a quite aptly named track as Alexander’s voice is allowed to shine without the surrounding pizzazz for an aching, beautifully harmonized track where his acting talents can be clearly heard. Palo Santo can suffer from a lack of originality at times, even if the music is so fun you’re a lot less likely to care. A track like “Karma” is so heavily inspired from late 90s-early 00s female R&B hits that you could apply certain sections of the track to individual songs. It’s a lot more similar than it should be in a world where musicians are being sued for emulating a “vibe” – remnants of Lauryn Hill and Destiny’s Child’s biggest hits haunt the song, but it’s still very upbeat and fun by adding a prominent synth line that the aforementioned artists never had. “If You’re Over Me” stands out in the tracklist for all the wrong reasons as well. For the most part, this is forward-thinking pop music that seamlessly updates an older sound for modern purposes, but this song essentially copy-and-pastes the car-commercial-esque synth line from American Authors hit “Best Day of My Life”, and the surrounding track is just as dated and uninspired, produced by the increasingly bland Steve Mac, who just landed the biggest hit of his career with “Shape Of You”. As the tracklist reaches its end, the revelry continues, it just doesn’t reach the same levels as the early goings, one small part of the track missing before it reaches its full potential. “Preacher”, for example, is constructed out of a flashy bassline and Alexander’s falsetto ‘woohoo’s, but I feel like the chorus lags one measure behind where it should, leaving too much silence. 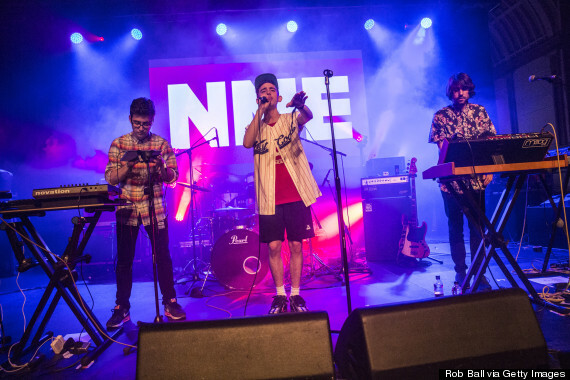 It finds its footing once again on penultimate track “Lucky Escape”, however – the hi-hats slow things down to a more R&B leaning half-time tempo, synth-piano and falsetto harmonies driving one of the catchiest tracks here, put over the edge by Alexander’s triumphant and sassy inflections as he celebrates “dodging a bullet”. Palo Santo certainly expands Years & Years’ musical range from their debut, in a rare feat of improving rather than falling victim to the sophomore curse. The religious themes throughout make the act of enjoying pop music feel like a kind of spiritual liberation, and the collaborators here knock it out of the park in an homage to a genre past. Even if it comes off too close to replication at times, it’s a great step forward for the trio.